The Clarity will be offered with three powertrain choices, although only the plug-in hybrid will be available in Canada. The Honda Clarity plug-in hybrid will go on sale in Canada in late 2017, the automaker said, but that’s only one of three powertrain variations that will be planned for the four-door hatchback. Pricing and production volumes for the hybrid have not yet been released. 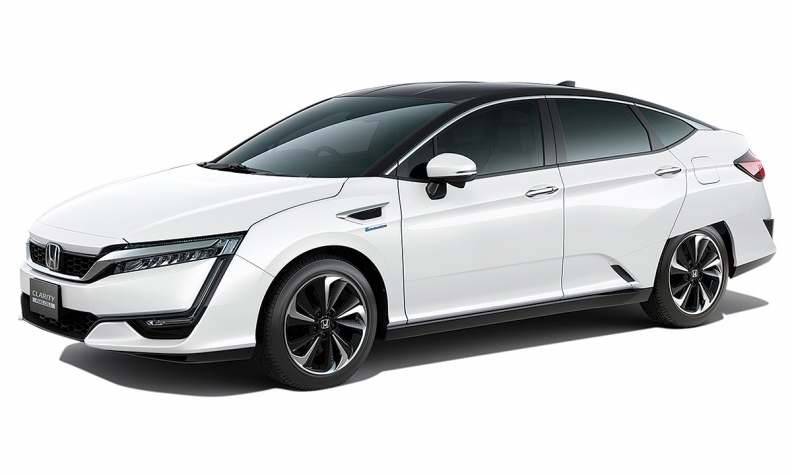 Honda plans to eventually offer the Clarity with three different powertrains: hydrogen fuel-cell hatchback; plug-in hybrid; and battery-electric. Only the plug-in will be available in Canada. The fuel-cell hatchback is now available in California while the all-electric version will soon be available. “We’ll continue to study the market and respond based on customer demand,” Honda Canada spokesman Alen Sadeh said. Honda also said that a new dedicated hybrid vehicle will be made in North America and launched nationwide in 2018. It will use the automaker’s two-motor hybrid system, which is currently in the Accord Hybrid, the company said. The new model will be produced at an existing plant in the United States, but the company didn’t specify which one. Additional details on the vehicle and its manufacturing will be announced closer to its launch. Honda is expanding its portfolio of electrified vehicles and also said it will expand alternative-fuel vehicles to its line of light trucks in the future, although it didn’t offer a specific timeline. Honda has set a global target for two-thirds of all sales to come from electrified models by 2030 and to cut the company’s carbon-dioxide emissions in half from year 2000 levels by 2050.